North Korea vowed Monday to bolster its nuclear arsenal and gain revenge of a “thousand-fold” against the United States in response to tough U.N. sanctions imposed following its recent intercontinental ballistic missile tests. The warning came two days after the U.N. Security Council unanimously approved new sanctions to punish North Korea, including a ban on coal and other exports worth over $1 billion. The U.S. ambassador to the U.N., Nikki Haley, called the U.S.-drafted resolution “the single largest economic sanctions package ever leveled against” North Korea. In a statement carried by the North’s state-run Korean Central News Agency, North Korea’s government said the sanctions were a “violent infringement of its sovereignty” that was caused by a “heinous U.S. plot to isolate and stifle” the country. “We will make the U.S. pay by a thousand-fold for all the heinous crimes it commits against the state and people of this country,” the statement said. The North said it would take an unspecified “resolute action of justice” and would never place its nuclear program on the negotiating table or “flinch an inch” from its push to strengthen its nuclear deterrence as long as U.S. hostility against North Korea persists. 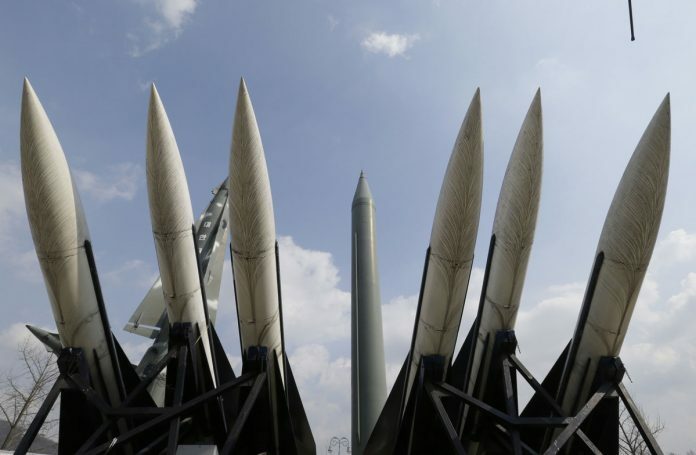 South Korea’s government said the North would face stronger sanctions if it doesn’t stop its nuclear and missile provocation. Lim Eul Chul, a North Korea expert at South Korea’s Kyungnam University, said the comments by the North demonstrate how angry it is over the U.N. sanctions, but that the country is not likely to launch a pre-emptive strike against the United States. He said the North could still carry out further missile tests or a sixth atomic bomb test in the coming months under its broader weapons development timetable. The centerpiece of the U.N. sanctions is a ban on North Korean exports of coal, iron, lead and seafood products – and a ban on all countries importing those products, estimated to be worth over $1 billion a year in hard currency. The resolution also bans countries from giving any additional permits to North Korean laborers, another source of foreign currency for the North, and prohibits all new joint ventures with North Korean companies. Lim, the North Korea expert, said the North will probably squeeze its ordinary citizens to help finance its nuclear and missile programs. Shin Beomchul of the Seoul-based Korea National Diplomatic Academy said sanctions that can force a change from North Korea would include a ban on China’s annual, mostly free shipment of 500,000 tons of crude oil to North Korea and the deporting by U.N. member states of the tens of thousands of North Korean workers currently dispatched abroad. North Korea Vows Harsh Retaliation Against New UN Sanctions. The warning came two days after the U.N. Security Council unanimously approved new sanctions.